Extend-a-Flue™ Cast Classic™ chimney pot extensions are the safe, easy and stylish way to extend a masonry chimney or terminate a chimney liner. By adding additional height, our chimney pot extensions create a better draft AND can help the flue outlet rise above certain wind and roof air currents that cause problems. 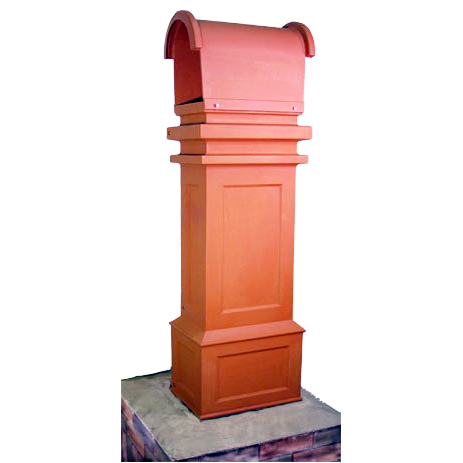 Our classic styles are reminiscent of 19th century clay chimney pots installed on many Victorian Era homes. 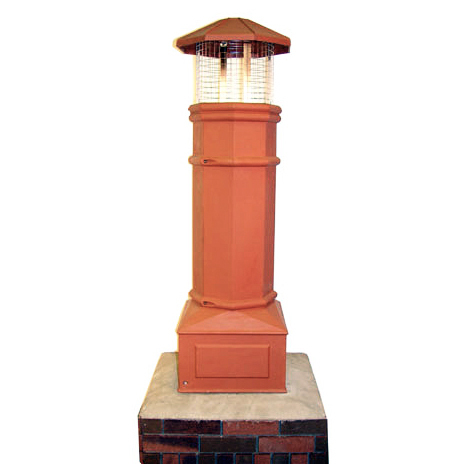 What makes Extend-a-Flue™ Cast Classic™ chimney pots unique are the easy to install features, such as the lightweight and durable cast aluminum body and top cap and our optional patented mounting system that enables a secure, quick and easy installation without the use of special tools or masonry work. Also, our optional stainless steel inner liner can reduce creosote buildup by providing insulation from cold exterior temperatures. If you have a flexible chimney liner, our optional chimney liner adapter provides a secure method of attaching the liner to the top of the chimney pot. – Lightweight and durable cast aluminum body and top cap. – Light enough to be shipped UPS or FedEx. – Stainless spark arrestor screen (not on CC812). – Removable top cap assembly for easy access. 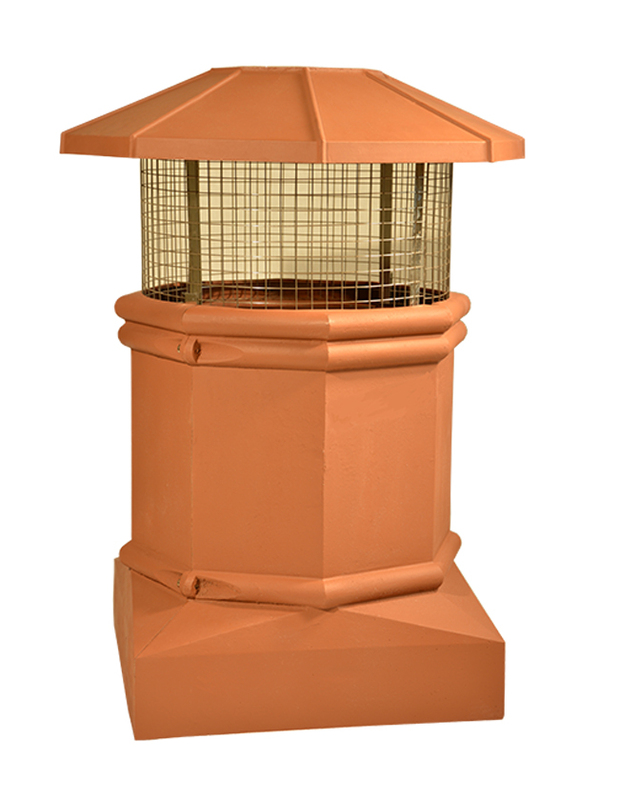 – Top cap designed to prevent wind related downdrafts and keep moisture, animals, leaves and other debris out of the chimney. – Patented EZ Mount mounting system fits down inside the flue and can be adjusted to provide a safe and secure attachment. Can be installed quickly with no special tools or masonry work required. – Interior liner insulates warm flue gases from the cold exterior and can reduce creosote buildup. Flue gases stay warmer – warmer air rises faster! – Stainless chimney liner adapter fits into a groove located inside the top of the casting allowing the chimney liner to terminate at the top of the extension. Currently available in 5-1/2 and 6 inch diameters (CC88 and CC1212 only).